A vague look at what's to come in 2018 from (n)Indie Developers. 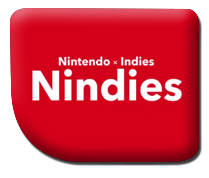 Hot on the heels of their most recent Direct presentation, Nintendo continuned their 2018 momentum today with a showcase of some of their "Nindies", a partnership between them and various independant developers to get as many titles as possible onto the hybrid console. While more of a lowkey affair than the previous Direct (well, how could you really top the bombshell that was the Super Smash Bros. announcement), trailers for 14 titles were shown with no concrete dates, giving fans a general idea of what to look forward to throughout 2018.